Kia is not one of the car brands that has not been in America for a long time. There may be other more popular car brands but it is slowly but surely gaining the interest of a lot of people. You may have purchased a Kia model or you may even have an older Kia model that you have acquired somewhere. The thing here now is you need to look for an option when you need Kia key replacement. It may be a bit complicated to find one but once you contact the right locksmith, it will not be too bad. If you have a Kia Amanti, Kia Borrego, Kia Rio, Kia Optima, Kia Sorento, and Kia Sportage, we can help you. If you did not find the Kia model that you have, you can just contact us. We will be more than happy to answer your inquiries about the other key replacement that we offer. Will Replacing Lost Keys be Complicated? This is always one of the people’s concerns when it comes to car key replacement. It can be stressful to get stuck on the road because your key is missing. There is also a possibility that your key suddenly stopped working. You want to give us a call when this happens. 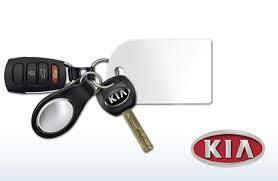 We can provide fast Kia key replacement services at the soonest possible time. There are a lot of updates and changes that Kia keys go through to ensure that they are safe to use. We make sure to be updated with the latest technologies. The more that we know, the more that we can provide the valuable help that you desire. New Kia keys may have differences depending on the model and the year of the vehicle. We are updated with all. Our professional team will give the help that you need. Do you think you need Kia key FOB programming? Take a look at your car key. A lot of Kia car keys look like regular car keys but when you look a bit more closely, you will realize that most of them need to be reprogrammed if they suddenly stop working. If you are in need of Kia key FOB replacement, Kia key FOB programming is the service you need to get your car key work again. It will be a bit complicated if you are using a transponder key as the chip needs to be cut down appropriately. The programming will be done efficiently provided that you will choose us to give what you need. This is always one of the things that you have to consider when searching for the right locksmith to provide the Kia car key replacement. You want it to be affordable. You cannot count on affordability if you are going to a car dealer. 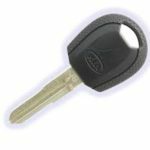 A dealer will be able to provide a replacement key but expect that it is going to cost a lot of money. You are expected to bring out a few hundred dollars. Your best option is to hire us, Bobcat Locksmith, for all of your Kia key FOB programming needs. We will be honest in letting you know what services you require for your key replacement. Take note that older Kia models that use transponders may be trickier because they are rarer than the newer models. Newer models can be a bit complicated as well. The internal will be more complex and would need more work. You can call us and ask us about our services. We will be more than willing to provide a quotation depending on what we think you need. Take note that locksmiths usually charge lower than dealers because of competition. You are bound to get better service and better prices when you choose a locksmith over a dealer for your key replacement needs. There are times when you would call the locksmith to have a spare key made. This means that you can go to the locksmith shop with your key to get a spare. It can be trickier if you have lost your car keys while you are outside your home. You need the locksmith to get to your location immediately. The faster that you are located, the faster you can go home. We have mobile locksmiths available that are knowledgeable and skilled in providing Kia car key replacement services. Expect that they will have all the right tools available. Our professional locksmiths are well-trained. They are also constant learners. They make an effort to know more about the latest technologies and techniques about Kia key FOB programming. This will help lessen your waiting time when you need a replacement key on the spot. Kia key FOB programming is only required on newer car models. The cars are usually turned on by the remote or a push-button ignition. It can be very disconcerting if you try to use your remote or you try to push your ignition but nothing happens. This is when you can call us to inquire about our Kia key FOB programming services. We aspire to provide as many details as we can to help you understand our services better. Take note that Kia key FOB programming does not require the key to be cut. Programming service is still needed to make it work again. You may choose to get a new key but if you do not want to rely on your key FOB all the time. You can call us about it. 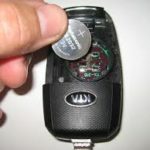 We will give information not only about Kia key FOB programming but also about Kia car key replacement. Contact us so you can inquire about our different services including Kia car key replacement. You can also call us to get a consultation with one of our locksmiths. You can also call us during emergency situations. Our hotline is available 24/7. Our customer service representatives will immediately attend to your various needs.